Te ensalzaré, Señor, porque Tú me has librado. 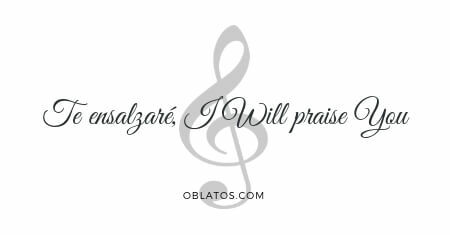 I will praise you, oh Lord, for you have rescued me. y me hiciste revivir cuando bajaba a la fosa. A moment is God's anger; a lifetime is God's love. So tears may come at nightfall, but joy comes with the dawn.